Ethel’s areas of expertise includes corporate structuring and restructuring, SEC compliance and approvals, tax advisory, compliance and litigation, IT local and cross-border transactions, and other corporate special projects. She currently serves as President and Legal Counsel of an IT corporation with regional operations in Southeast Asia. 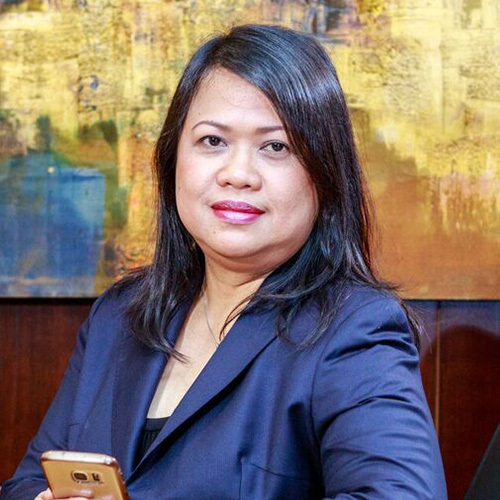 Prior to joining the firm in September 2017, she worked as a Senior Associate in one of the leading securities and corporate law firms in the Philippines where she was engaged extensively in servicing both private and public corporations applying various corporate and tax laws and regulations, from inception to actual operations, special projects, and termination. She also extensively represented clients before the BIR and the CTA in various stages of assessment and refund cases, and in securing BIR Rulings, Clearances and Certifications. She was also an Associate Director in SGV & Co. where she advised clients on tax implications of local and cross-border investments and projects, performed tax review of proposed corporate actions, and implemented corporate restructuring, acquisitions and liquidations.